Our TOEFL course aims for test learners to understand the individual components of the exam. It aims to develop the students’ strategic techniques for dealing with the different sections of the test and to improve their skills. Test Of English as Foreign Language (TOEFL) is considered as one of the most ideal test for testing your proficiency in English language. When you decide to study abroad in a country where English is the native language, it is mandatory to take TOEFL to prove that you have the necessary strong skills in English language which is important to survive the competition and to communicate the ideas effectively. 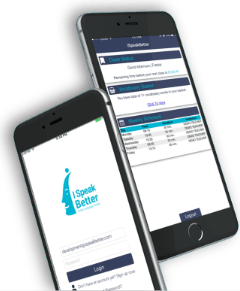 Here at ISpeakBetter, we offer a variety of practice materials to help you prepare for the TOEFL test. Materials include sample questions, practice tests, and information for understanding more about the test. Our curriculum will help you prepare for your overseas education and help you to achieve your desired test scores. It can help you master the required skills in English language for pursuing higher studies abroad. High TOEFL test score is your key to gain employment. By taking our TOEFL course, you will learn all the essential components of the exam and will increase the chances to gain admission into the top league universities. Learners will be asked to read a passage aloud, listen to the audio files, and provide response also in the form of reading and writing. All these reflect the classroom environment which tests your academic skills.